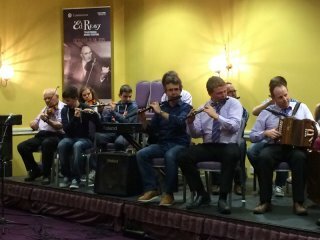 Thursday 7th was a historic day for Cavan Town branch of Comhaltas when GAA President elect Aogán Ó Fearghail and fiddle maestro Antóin Mac Gabhann officially launched the Ed Reavy Traditional Music Festival 2015 in the Cavan Crystal Hotel. Over 250 people were in attendance for the occasion, where they were treated to several hours of the very best of traditional music, song and dance from both local talent and visiting artists, both young and not so young. Aogán Ó Fearghail, like Ed Reavy, is a native of Maudabawn. He gave an exceptional speech on the memory and legacy of Reavy, and praised the branch for honouring a man whose music compositions have influenced many generations of musicians and has made his name known wherever traditional Irish music is played. Aogán was joined as special guest speaker by renowned fiddler and Mullahoran native Antóin Mac Gabhann; Joe O’Reilly TD; Brendan Smith TD; Shane P. O’Reilly, Chairman, Cavan County Council; Lyn Sharkey, President of Cavan Chamber of Commerce; and Éamon Graham, Chairman, Ulster Council CCE, who all pledged to give their support to the festival organisers in the coming year. Other notable guests on the night were Ger Finn, County Manager; Jack Keyes, former County Manager; County Councillors Madeleine Argue and Fergal Curtin; Catriona O’Reilly, Arts Officer, and Marion Smith from Cavan Co. Council; Gerry Finneran, Chairman, Leitrim Council CCE and Uachtarán Connacht Council CCE; Philip Clarke, Chairman, Cavan County CCE; Paddy Ryan, Shannonside-Northern Sound; and Martin Gaffney, Killeshandra and Dublin, PRO for Fleadh Cheoil na hÉireann, Cavan 2010-2012. 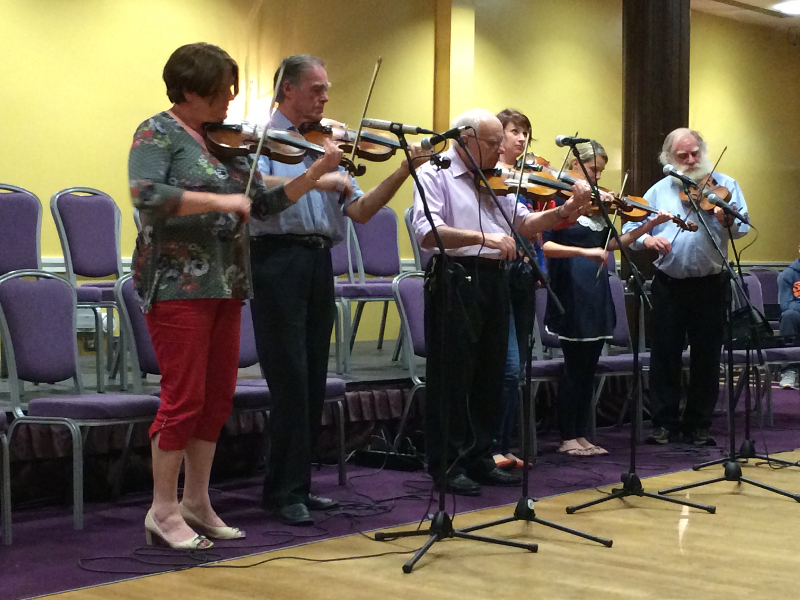 Hosts for the night were Gary Lynch, well-known Fermanagh fiddle player Comhaltas CEC delegate, and Mary Gaffney from Cavan Town CCE. Close to 100 musicians and dancers performed for the large audience. 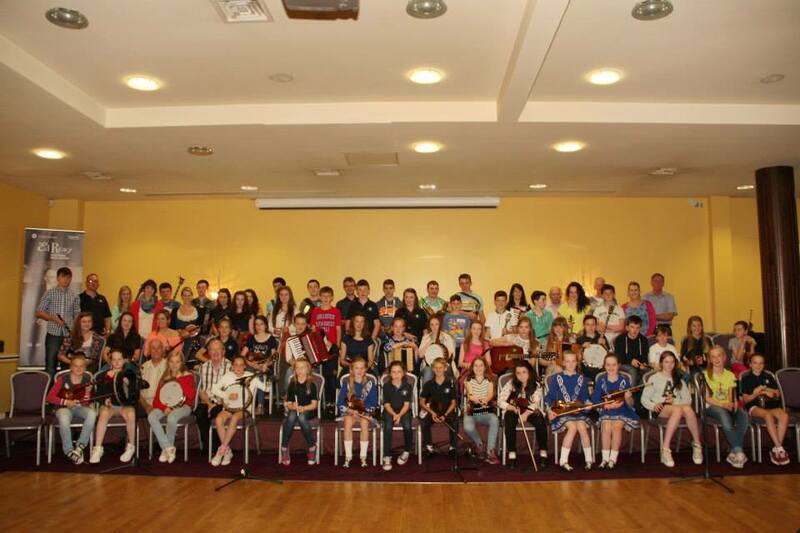 Among those were the U12 and 12-15 grúpaí cheoil who represented Cavan Town CCE at the recent Ulster Fleadh in Tyrone, along with their tutors Catriona Cullivan and Eimear O’Reilly. Young branch members who qualified from the Ulster Fleadh to represent Cavan and Ulster at Fleadh Cheoil na hÉireann in Sligo and who showcased their talents on the night were Daire Smith, Barry Conaty, Emma Conaty, Ellen O’Brien, Jasmine Scanlan, Liam Coyle, Eimear Rudden, Niamh Geoghegan, along with a number of dancers from the Webber School. Four-time All Ireland-winning lilter Séamus Fay; multiple All Ireland flute and whistle champion Séamus Tierney; All Ireland button accordion winner Fergus Bogue; Clare McDermott of Lord of the Dance; the Crosserlough set dancers; and the Lough Oughter Céilí Band, were among the many who performed as part of the launch. A special presentation was made to Bernard and Mary Geoghegan and family, members of Cavan Town CCE, in recognition of their many years working with the Breffni céilí bands and grúpaí cheoil. Ed Reavy was born in Barnagrove, Maudabawn in 1898, and emigrated with his family to Philadelphia, Pennsylvania in 1912, where he lived for most of his life. American journalist Earle Hitchner described Reavy as “head and shoulders above all his contemporary composers for continued artistry, abundance and acceptance”. The Reavy family estimate that he wrote between 400 and 500 tunes, of which 127 have been preserved. Reavy was also an outstanding fiddler, and he recorded in 1927 for the Victor record label. His numerous compositions are widely played, including such favourites as ‘The Lone Bush’, ‘Maudabawn Chapel’, ‘The Hunter’s House’, and ‘The Cuilcagh Mountains’. 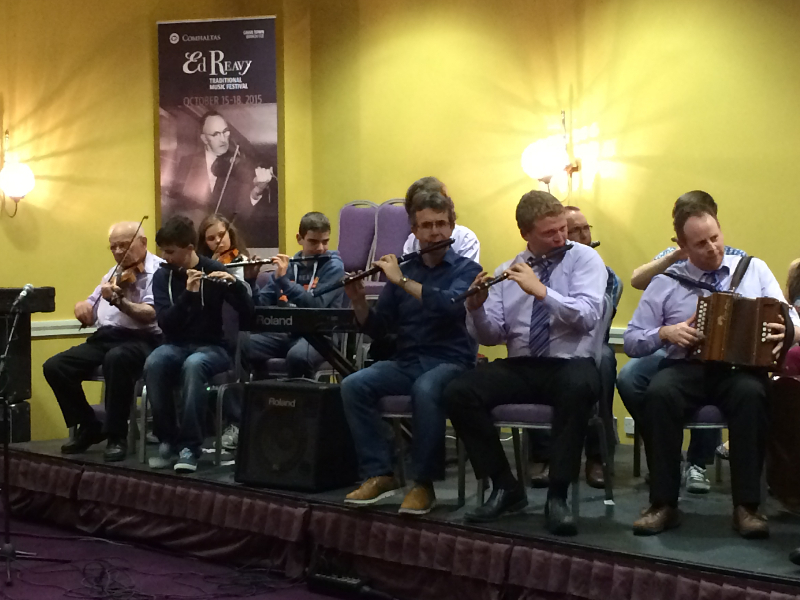 The festival, which takes place in October 2015, will comprise of concerts, exhibitions and talks, music sessions, workshops and master classes, and céilithe. 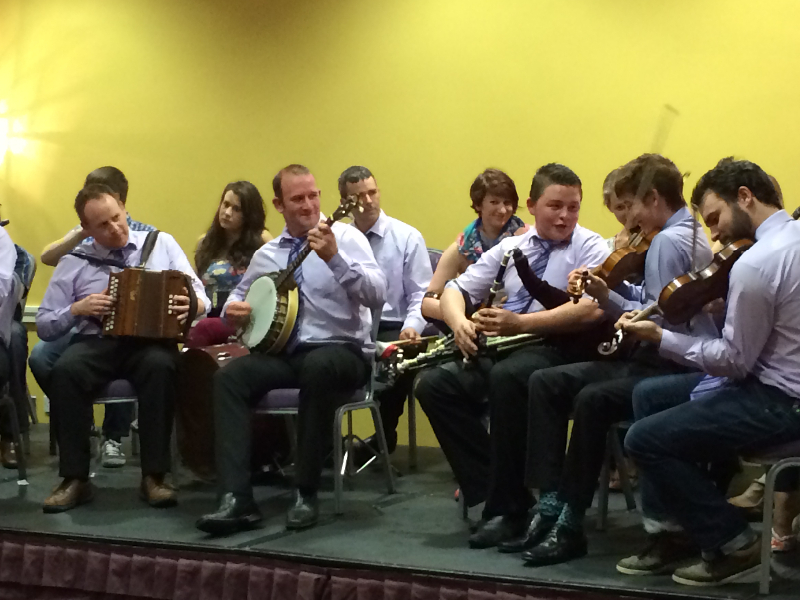 Venues will incorporate Maudabawn, Cavan town and Ballyjamesduff. Confirmed artists include Antóin Mac Gabhann; Paddy Ryan; New York fiddler Brian Conway, who counts Ed Reavy as one of his influences. 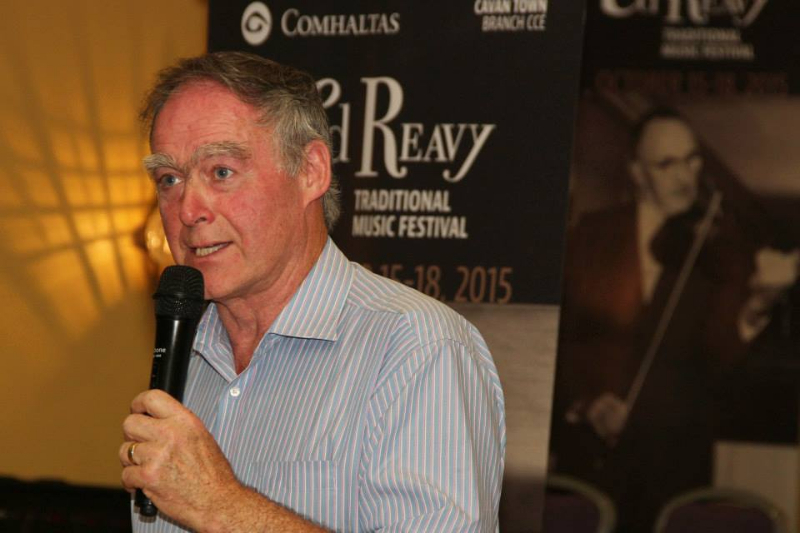 On May 16th in Cavan County Museum, Ballyjamesduff, Dr. Mick Moloney will give a presentation and talk on Ed Reavy and his influence on Traditional Irish Music. 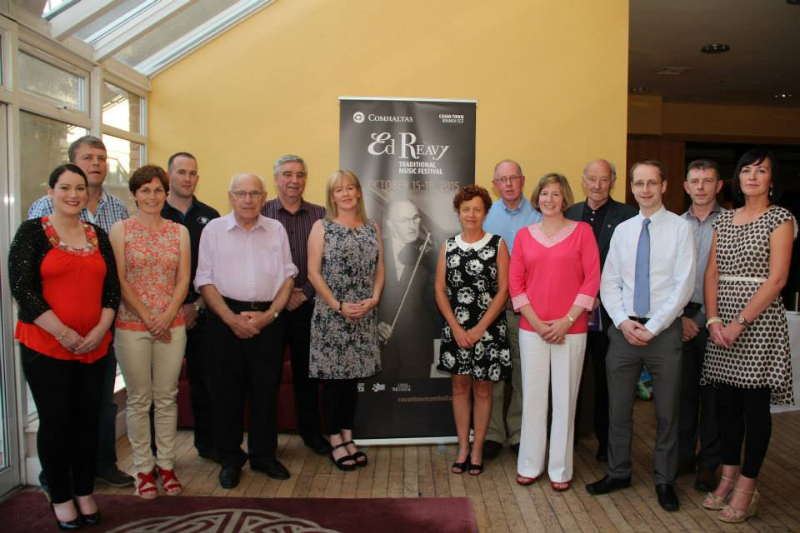 The festival should prove a noteworthy event in the 2015 Traditional Music events calendar and it is expected to attract visitors from all over Ireland and overseas, and should once again raise the profile of Cavan as a place of friendship and steeped in tradition.